Gopalganj Correspondent: Five members of Bangladesh Chhatra League (BCL) and Juba League men were killed in a head-on collision between a truck and a private car in Khulna on Sunday night. The accident took place around 11.15pm in Khejurbagan area of bypass road. 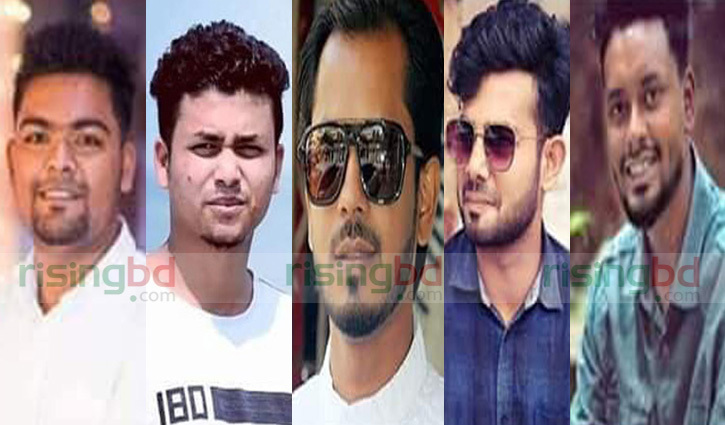 The deceased are Mahbub Hasan Babu, organizing secretary of Gopalganj district unit of BCL, Md Sadikul Alam Sadik, vice-president of Gopalganj sadar thana unit of Juba League, Animul Gazi, health affairs secretary of Gopalganj sadar thana unit of BCL, Alid Mahmud Utso, scholarship affairs secretary of Gopalganj district unit of BCL, and Saju Ahmed, assistant secretary of Gopalganj district unit of BCL. Md Shafiqul Islam, officer-in-charge of Labanchara Police Station, said a cement-laden truck collided head-on with a private car in the area. At that time, three passengers of the car and two pedestrian including a mentally-challenged man were killed on the spot. Police seized the truck but its driver and helper managed to flee away from the spot. The bodies were sent to Khulna Medical College and Hospital for autopsy, the OC added.